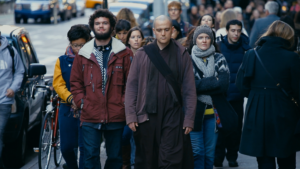 With our country struggling with ongoing racial and religious tensions, you are invited to come and embody peace for our society by walking with us in a silent peace walk led by 50 monks and nuns of Thich Nhat Hanh’s global monastic community. We shall walk in such a way that each step we make becomes a realization of peace; each step becomes a prayer for peace and harmony. We shall walk together in silence, with no banners and no pickets. The walk will not be a petition addressed to anyone, nor will it be a demonstration against anyone. The walk is to unite our heart, to nurture our togetherness, and to dissipate fear and separation. It will be an actual experience of peace in ourselves and for our country. If you are a Buddhist, Christian, Jewish, Muslim, or belong to or identify with any other religious creed or peace organization, please come. If you are white, brown, black, yellow, red or any other color, please come. We shall practice together that wrong perceptions of self and others are at the foundation of separation, fear, hate, and violence. To support our country’s healing, we shall give hope that togetherness and collaboration is possible for our world. 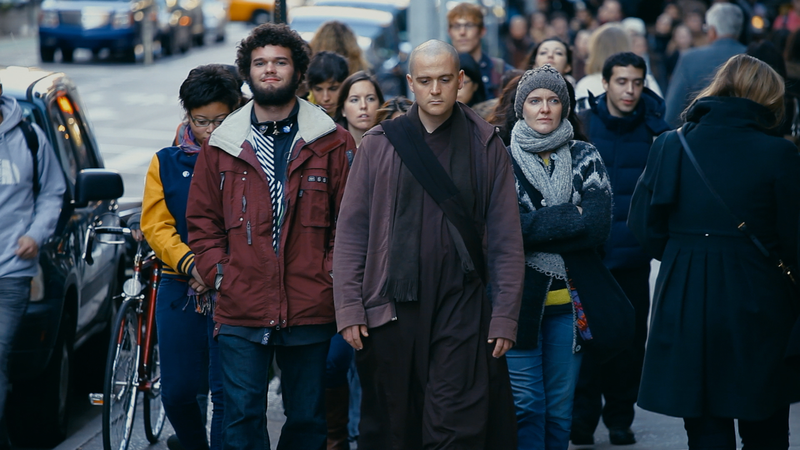 The peace walk will start at Frank Fenton Field at La Cienega Park and conclude in front of the Ahyra Fine Arts Theater where Walk With Me, a cinematic journey into the world of mindfulness of Thich Nhat Hanh and narrated by Benedict Cumberbatch, will have its Los Angeles premiere that evening before playing in cinemas nationwide on September 12th. Help continue to spread Thay’s teachings on peace by visiting walkwithmefilm.com. I thought of having a simultaneous peace walk in my community, but that would be 9 pm eastern. The best I can do would be to try for one at an earlier time. This is so. May we have a walk in Portland Oregon, esplanade, 6pm, impromtu around the waterfront. Inwardly smiling and moved. We shall walk together in silence, with no banners and no pickets. The walk is to unite our heart, to nurture our togetherness, and to dissipate fear and separation. It will be an actual experience of peace in ourselves and for our country. I have long noticed the lack of attention in this prominent international sangha to people with disabilities. It would be wonderful if you would show an intention to welcome and encourage people with all kinds of disabilities to join in, now more than ever, as people with disabilities are so threatened and fearful due to the current political situation. And so unseen, left off almost every list of those especially at risk. We need you.